[Channel 8] Coding for Kids? 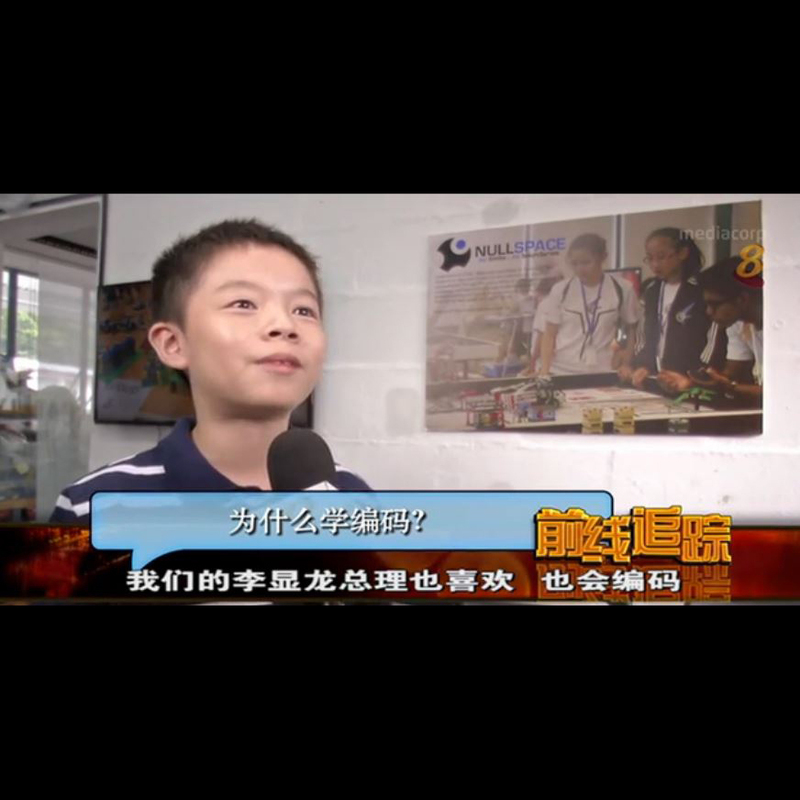 Nullspace C4RL feature on Channel 8 Frontline: Coding enrichment classes for children is gaining popularity in Singapore. What is coding? Can kids really code? I feel that coding is useful and really cool. There are several common applications that require coding such as traffic light controlling and car reverse sensor. Our Prime Minister Lee Hsien Loong is a coder too! What is a good age to get kids started on coding? We find that children below 8 years old do not have a fully developed capacity for logic thinking. More often than not, they will not be able to fully appreciate the logical steps behind programming. Needless to say, programming and mathematics are two sides of the same coin. Established in 2008, Nullspace focuses on delivering technology education. We provide robotics and programming classes to Singapore-based goverment and international schools, as well as at our flagship Centre for Robotics Learning. © 2019 Nullspace Robotics (SG).